WACO--A small group of bikers arrested in the deadly shooting wanted the judges to be removed from the case, but their request has been denied. The bikers' lawyer filed a motion to recuse the judges, arguing they couldn't be fair and impartial since they set their bonds so high, and he says proper procedures weren't followed. "Before now, none of the material facts have been stated in open court and you've got an utterly defective charging instrument to me that shows a lack of impartiality," said Adam Reposa, defense attorney for the group of bikers asking for the judges' removal. On Thursday, the nine bikers Reposa represents came together to try to have the judges in their cases removed. 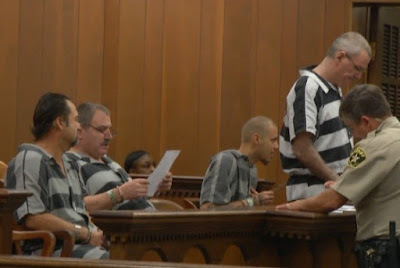 The "impartiality" of 54th District Court Judge Matthew Johnson, and 19th District Court Judge Ralph Strother, is what's being questioned since the two issued $1,000,000 for arrested bikers and are now in charge of reducing some of those bonds. Reposa said the bikers' bonds are being reduced based on their motorcycle association. 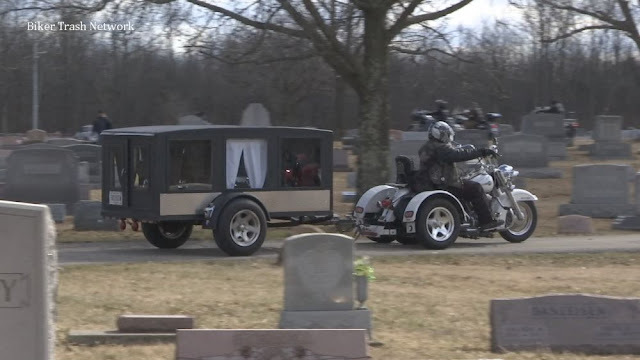 "If you're a biker for Jesus you get $25,000, if you're related to other motorcycle clubs you get $100,000 or $250,000," said Reposa. A visiting judge from Houston determined both local district judges could be impartial, and would remain on the bench for Twin Peaks cases. "Based on the testimony, it was clear to the court they had not formed any opinions and had no interest in the litigation," said Dave Deaconson, Civil Private Practice Attorney. "They were just doing their jobs as judges are required to do." Only three of the nine bikers were allowed in court Thursday, apparently for safety reasons, but their attorney says that too was a problem. "I think it reads does bespeak to if not intent, just the de facto lack of due process," said Reposa. "We're not even going to bring you in the courtroom? They're ill-equipped to handle the cases they've taken on." However, the issue wasn't over how many cases, it was over if these two judges could handle the cases they're being given in a fair way. "'Good' is all relative," said Deaconson. "None of us want to be here to begin with, but it's the right outcome." Reposa was still working on getting bonds reduced for his clients and is scheduled to be in court again on June 12th, but he's was hoping to get in sooner. As of Thursday afternoon, 50 bikers had bonded-out, 127 remained in the McLennan County Jail.